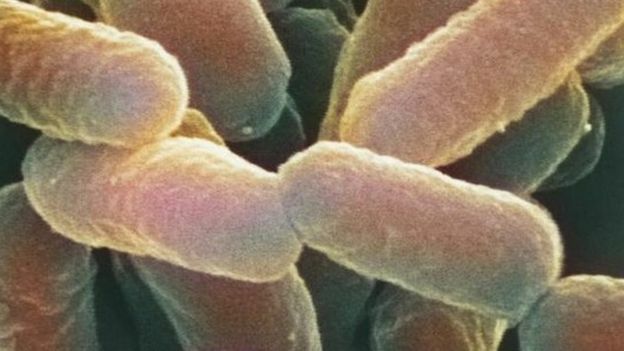 Romaine lettuce has been linked to an outbreak of E. coli in the US and Canada, health officials say. At least 32 people have been sickened in the US, with 13 taken to hospital, while another 18 people have been stricken in Canada. The latest outbreak follows the deaths of at least five people in the summer linked to romaine lettuce. However, the latest statement from the US Centers for Disease Control and Prevention (CDC) says this outbreak is not directly related to the cases earlier in 2018, with a slightly different DNA fingerprint for this strain of the illness. People began to fall ill in early October. An investigation into the outbreak is ongoing. In Canada, the 18 cases were reported in the provinces of Ontario and Quebec. The infections in the US are spread over 11 states. In June, five people died and hundreds of people were infected across 35 US states after a romaine lettuce-linked E. coli outbreak. The illness can cause diarrhoea, vomiting and even kidney failure in severe cases.